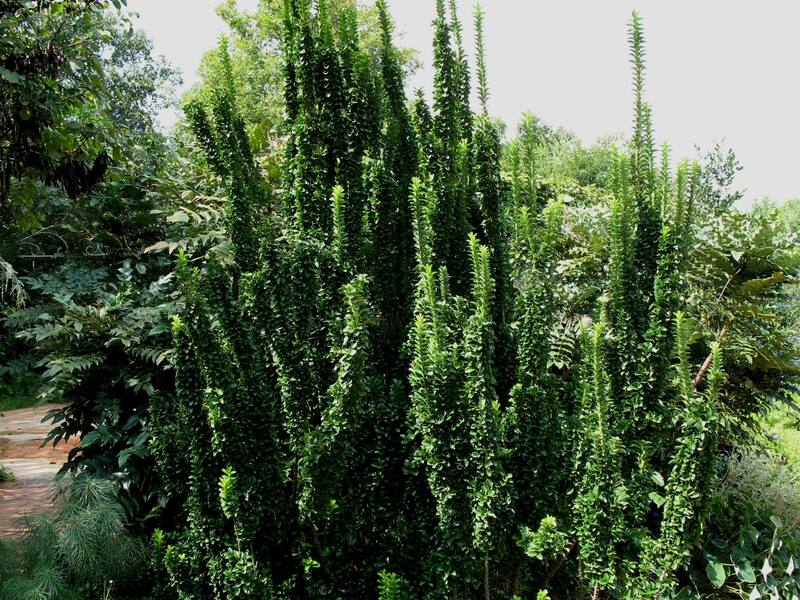 Comments: This tidy, compact, columnar growing shrub has very dark green leaves. Prune to keep desired height. Has the ususal problems, scale whitefly, and aphids, as do other euonymus species.